Hi Ginger - Ive been following your thread as I am going along the same lonely road, I started my journey on Feb. 20. I still think about my Bayley every day, multiple times a day, and yes the smallest reminder of him can set me off too and I dissolve into a teary mess. It does get more bearable over time because you become numb - thats the body's way of coping with incredible grief - but that panful loss will always be there - how can it not? I know there will come a time when my first thoughts of Bayley, and yours of Boo, will be happy ones as opposed to dwelling on the painful last days of grief and loss. How difficult it is to learn to adapt to life without your constant companion. It affects every aspect of your existence. I like you plod through each day, the goal being to get through that one day. But its a journey I don't want to make because its another day without him in my life and unrealistic as it is, I want him back. So its a bittersweet accomplishment. I tell myself Bayley would be so distraught to see me in such pain. And Boo wouldn't want to see you that way either. So maybe we go on and try to get back some happiness in our lives as a way to honour them for the joy they gave us over the years. Dearest Ginger - I know all to well how you are feeling. I found this poem that I thought may help just a little (reading it helped me when I was feeling especially lonely for my beloved Brutus). (((Ginger))) I keep you and your precious Boo in my thoughts and I wish you peace and comfort for the days ahead. This is a horrible day Boo. I miss you more now than I did a month ago. It's just all so real now. I will never see you again and I cry and cry. Please, be patient with yourself... I know it is difficult and reminders will come along for quite some time. I'm in my 5th month and it still is not easy but better. After such a long time with him it will certainly take some time to learn to live without him, to learn to come to terms and to seek new ways. I know you will get there. Thank you so much for sharing this beautiful pic of Boo at those very steep steps trying to get to you - what a brave little guy. Tomorrow will be 5 weeks since I’ve seen your beautiful eyes looking up at me. The mornings, during the week, you would just stare at me hoping that it wasn’t a work day and that I would be able to stay home with you all day. That is all you wanted, just to be with me. It’s all I wanted too Boy. I wish we would have had more of those lazy days. But I added it up, and we had almost 5,000 days together. That’s a lot of days Boy. I’m grateful for every one of them. There will never be another Booter. I’m happy that we grew older together. When I first brought you home, we both had darker hair and during the last 11 years, we turned white haired. Boo, I know you were sick and hiding it from me because all you wanted to do was spend time with me. We went to the park every day when I got home from work so you could have your walk and pee your 10-15 times marking every place another dog had been 😉. I sure do miss you. I’m sorry that you are gone but I’m grateful that you did not suffer. There is so much I would like to say to you now. I just don’t know where to stop. There are so many memories and I want to remember them and let the last day become a faded memory. There are too many good ones. I will write again later. I’m tearing up now and just wanted to put something down in writing. ❤️❤️❤️❤️❤️so beautiful. I’d give anything to smell his scent again, rub his tummy and lose myself in his beautiful eyes! This pic shows how far we go back!!! I think I was 38....51 now. Ginger.... I hope you keep dreaming of your baby. You should post more photos of Boo. Boo is adorable. Such a sweet face. I realized we lost our sweet babies around the same time and both Losing our babies to CHF. I’m so sorry you’re going through this pain too. It’s so hard :( when they were apart of our lives every second and now to not have them here is crippling. Nothing makes happy anymore. Everything feels pointless. I wish with our babies we were born into the world together and left the world together, no cancers, no heart failures, no health issues, no awful accidents. Just live life together from start to finish. I miss my baby so much as I know how deeply and terribly you miss your Boo as well. It’s now five whole weeks since you left. I am still miserable without you. I hate waking up to nothing in the morning. I remember how, if I happened to oversleep just one or two minutes, you would do that pretend sneezing thing or shaking to awaken me. You never seemed to amaze me with your sweetness. The days are not the same now. My whole life has changed. I miss you so much. I remember how when the grandkids would come for the night, how you loved them so much. There was so much joy in the house. Now, there is none. There is no laughter. I remember saying, the day before you died, not knowing it would be your last day, "When Boo goes, I'll never laugh again" You made me laugh Baby. You. 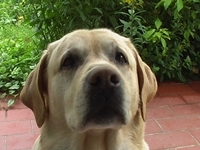 Jenny, on this forum recently lost her Teddy, like you, he had heart failure. She said something on her thread that we all believe: Everyone thinks they have the best dog, none of them are wrong. She's right Baby. You were the best!!! My heart is with you and your sweet Boo today. 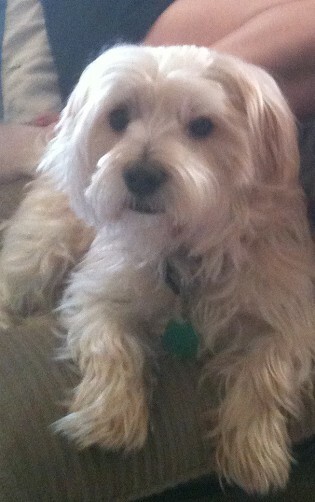 Knowing Boo went through heart failure like my sweet boy Teddy. Continues to break my heart.